We are making an impact together! Though the news at the national stage reflects a politics of cruelty and greed, here in Oregon we are making a huge difference. 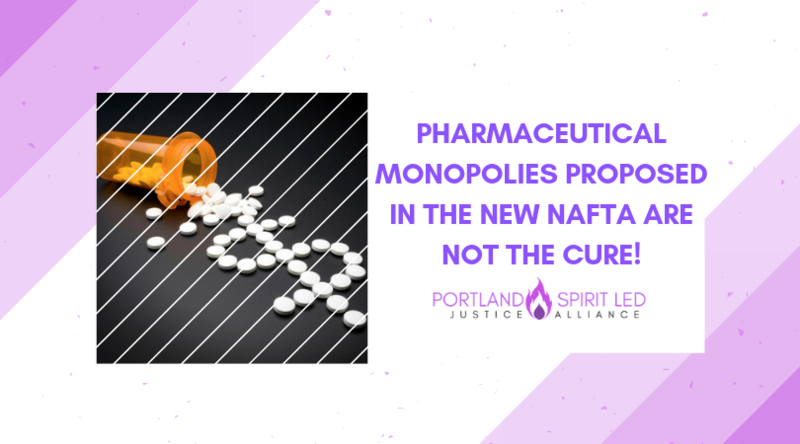 Lift a Moral Voice Opposing Pharmaceutical Monopolies in NAFTA at a Conversation with Rep. Earl Blumenauer! Either way, we encourage you to join us in a conversation with Rep. Earl Blumenauer on access to medicines vis-à-vis NAFTA! Because of Rep. Blumenauer’s being chair of a Congressional Committee, Oregon is on the front line for the whole country in leveraging public-interest for a NAFTA battle that could go either way! this will be an excellent opportunity to deliver our shared letter! Join Family Forward Action at a Public Hearing to Help Secure Medical and Family Leave for All Oregonians! Demonstrate to lawmakers that we are serious about passing paid family and medical leave in 2019. Whether you’re sitting in the hearing room or out in the galleria. Whether you are providing testimony or not, you’re helping send a strong message: This is a Moral Issue! It is time to pass the FAMLI Equity Act! Kids and families are welcome! While there won’t be child-care organizers will activities for kiddos, and worries about loud voices. There will also be light snacks , Spanish translation, and carpool options. Providing testimony to the Oregon State Legislature in support of the FAMLI Equity Act is an even more powerful way to demonstrate to lawmakers how much you care about the issue. If you’d like to learn more about submitting written testimony, click here. Click here to complete your registration, or get in touch with Nichi Linder with any questions at: nichi@familyforward.org. 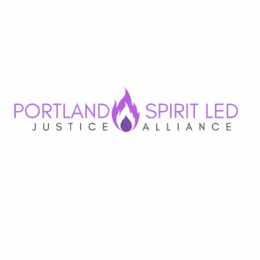 Join the FairShot Coalition in Advancing Driver’s Licenses for All Oregonians! either choose to drive without a license and risk arrest and deportation or choose not to drive and be unable to provide for themselves and their family. We’ve heard countless stories from people in our community struggling to care for themselves and build a future for their families. 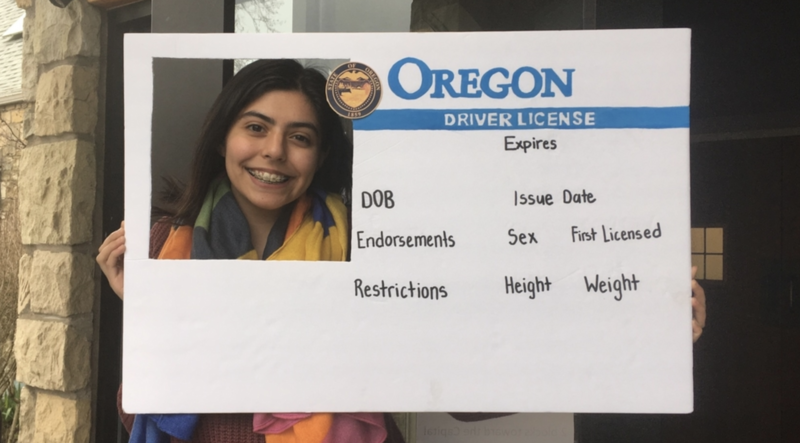 The ability to drive legally is a core everyday need for many Oregon families as people take their kids to school, commute to work, and take care of family and neighbors in need. Excluding Oregonians from the ability to get a driver’s license because of their citizenship or immigration status puts our immigrant communities at risk. the Driver’s Licenses for All campaign (HB 2015) is part of our 2019 legislative agenda! It’s time to pass the Equal Access to Roads Act to ensure standard licenses are available to all drivers who can meet the requirements to drive regardless of their citizenship or immigration status. Click here to Contact your lawmakers today! 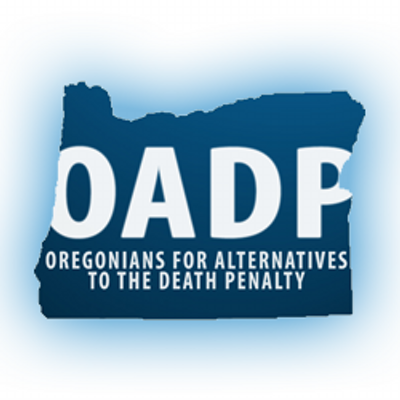 Support Oregonians for Alternatives to the Death Penalty and Advocate for 3 Bills! This legislative session presents what is perhaps the most important opportunity since the 1998 repeal vote! While these bills will not repeal the death penalty, they will reduce the number of death cases pursued and won! • Removing “future dangerousness” from the judge’s charge to the jury in a death penalty case is critical because criminologists, psychologists, linguistic experts and criminal justice scholars agree that “future dangerousness” is impossible to prove. “Beyond reasonable doubt” is a better instruction to follow. • One or two top reasons that you oppose capital punishment. • Which is why it is so important to also define procedures for those sentenced to death to be resentenced to life imprisonment without parole. For those who want to read the full text, go to www.oregonlegislature.gov and look for Find Bills. Find your legislator and their contact information at: www.oregonlegislature.gov. On the lower right front page of their web site you will find the button of FIND YOUR DISTRICT AND LEGISLATORS. Enter your street address and your senator and representative will be revealed. Step Three: Follow what is happening with the bills at: www.oadp.org web site. You can follow the bills on the legislature web site.